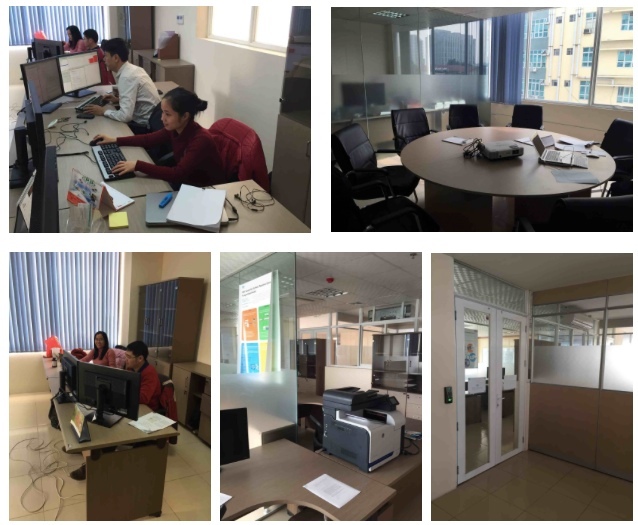 Information, Communication and Technology Laboratory (ICTLab) is a joint international ICT research laboratory between USTH and Vietnamese/French partners. It involves researchers coming from USTH, IOIT (Institute of Information Technology, Hanoï), IRD (Institut de Recherche pour le Développement) and the University of La Rochelle, France. ICTLab was created on December 1st, 2014. Its creation was supported by USTH, the French Embassy in Vietnam, 13 French high education institutes and universities (USTH Consortium), and the ADB (Asian Development Bank). In recent years, the assessment and management of complex socio-environmental systems have increasingly relied on the design and use of computer models as a way to inform, support and sometimes supplement human decision. However, the scale at which problems are now raised, the simultaneous abundance of raw data and scarcity of information available on these systems, the necessity to adopt perspectives that take multiple, possibly conflicting, goals, into account, all of these reasons plead for the development of ICT methods and tools that go beyond the current state of the art and cover all aspects of environmental decision-making processes, including the gathering and processing of quantitative and qualitative data, the design of models that account for the complexities, non-linearities, heterogeneities, and multiple scales of space and time, the intelligent exploration of their outcomes in multiple scenarios and the continuous monitoring of the strategies implemented. The goal of ICTLab, in this respect, is to design and deliver such methods and tools by conducting and combining investigations in different domains of ICT such as Modeling and Simulation, Machine Learning and Data Mining, Image and Speech Processing, Information Retrieval, Expert User Interactions, Sensor Networks and Embedded Systems, High Performance Computing and BioInformatics. ICTLab is located in the heart of the VAST (Vietnamese Academy of Science and Technology) complex, in the city center of Hanoï, Vietnam. Hereafter a few pictures of our facilities.